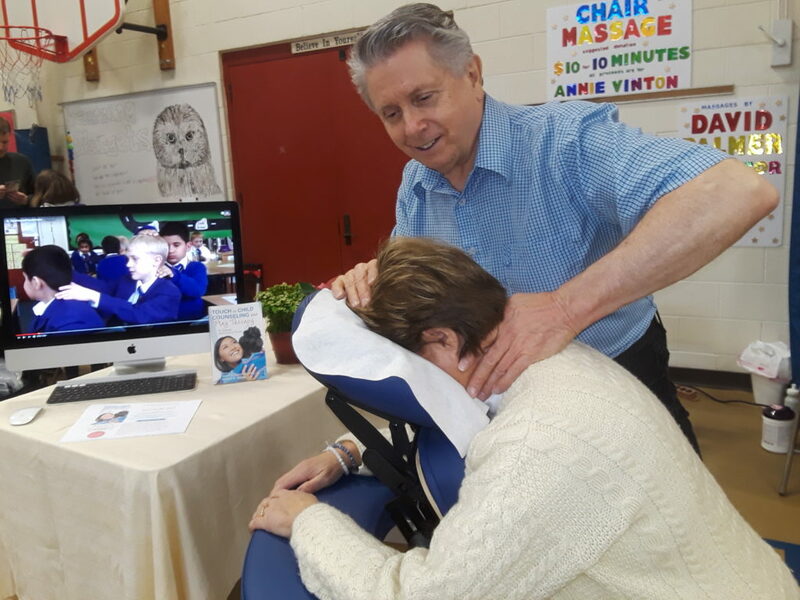 Last Saturday I had the opportunity to share chair massage at a PTO fundraising event for our local Annie Vinton Elementary School. It felt good to be promoting positive touch in this era of such nasty news. For some subliminal education, in the background I looped a couple of YouTube videos describing the benefits of child-to-child massage in classrooms. On the table I featured Touch in Child Counseling and Play Therapy: An Ethical Guide. This entry was posted in Chair Massage, Touch and tagged chair massage, David Palmer, elementary school, jean barlow. Bookmark the permalink.